Across Ocean is California, a place where nothing makes sense to Sky. She is separated from River and taken to live with a grandmother she doesn’t know. Lost and heartbroken, Sky searches for him so they can return to Island, only to find out that their paradise wasn’t as perfect as she thought, and everything she’s ever known and loved may have been a lie. A gripping and beautifully told story of love and survival in a hostile world – ours. I received an ARC of this book last week and was instantly intrigued by the premise. So I thought I'd give it a go, and found myself instantly engrossed in the story. So much that I finished it before I was ready to let it go. Sky and River live on Island. It's the only home they've known. A beautiful paradise surrounded by the healing Ocean that provides everything they need--shelter, food, and each other. Life isn't always easy on Island because they have to hunt for their own food, and since the loss of their parents (Sky's mother and River's father) things have become a lot harder, but they still survive. As long as they're together, Sky is happy. That all changes shortly after Sky's sixteenth birthday, when River notices a boat in the distance. Now their quiet existence is threatened, because when two strange men arrive on their island River wants to go back to civilisation. Sky doesn't want to leave, but there's no convincing River and she's not going to stay on Island without him. So, they let the men take them to California, and life changes overnight. In this new place people are different and there are so many things Sky doesn't recognise. Worst of all, River leaves to chase his own destiny. Leaving her alone with a grandmother she doesn't know. A woman who, while she's kind and willing to do whatever it takes to help Sky adjust to the world away from Island, keeps many secrets and despises the one thing Sky loves the most--River. OMG. Wow! I loved every single minute of this wonderful book. I felt Sky's heartbreak every step of the way, her conflicting emotions as she wants to learn as much as she can to help her return to the only place she wants to call home. It's so compelling, and reading a story where our world is seen through the eyes of a character who doesn't recognise anything we take for granted, was quite a refreshing experience. Plus Sky is a wonderful narrator. 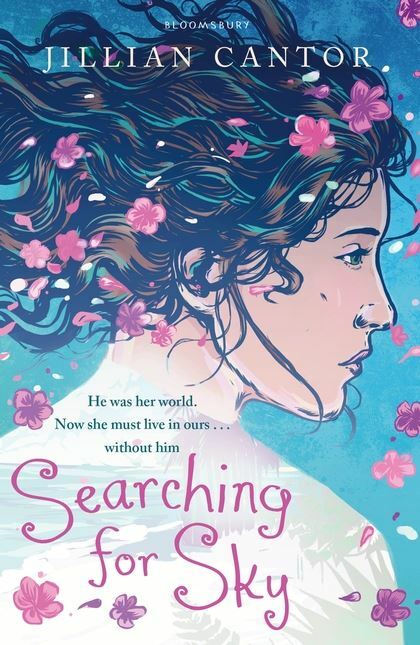 Searching for Sky is an amazing, well-written, heartbreaking story about two teenagers forced to live in a new world that ends up causing them more distress than the peaceful existence they lived in most of their lives. It's also intriguing, moving, tragic and beautiful. A real page-turner because I just couldn't put the book down. Not until I'd devoured every page and found out the shocking mystery behind their seemingly simple lives. I loved this book so much, and highly recommend it to anyone and everyone! Actually, I told my daughter about it and she was interested in reading the first chapter to see what it was like... and read it faster than I did! Yes, it's that good.